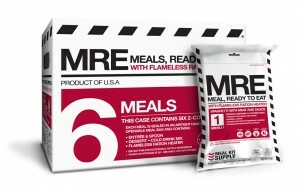 Meal Kit Supply is a U.S. based company with a unique offering – their custom-designed MREs are assembled with an eye towards menu variety and meal diversity. 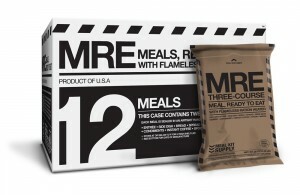 Under the current menus, in a case of 12 MREs, they offer 5 different meat-based MREs, 3 different vegetarian-friendly MREs, and 4 breakfast MREs. Each meal averages around 1,200 calories. 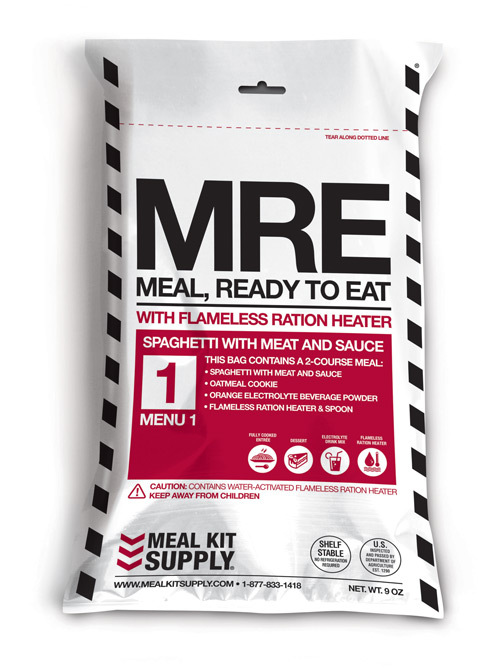 This kind of menu variety is usually missing in other civilian MRE brands that usually only offer 6 different menus and few, if any, breakfast items. Not just entree variety but a wide variety of sides, desserts, spreads, etc. 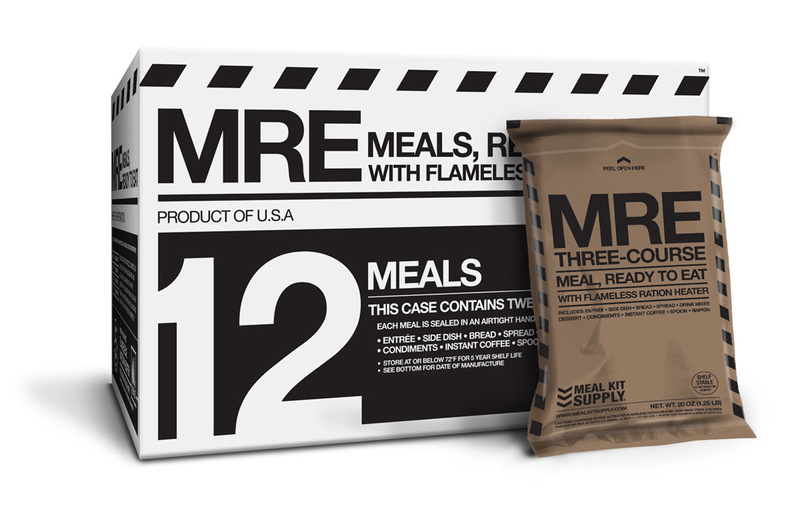 For some shoppers, the amount of food and variety of menus – and especially the guarantee of breakfast items – will make the Meal Kit Supply MREs worth the extra premium. 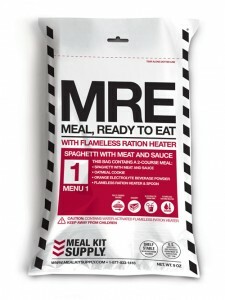 For ordering information, please see their MRE store. 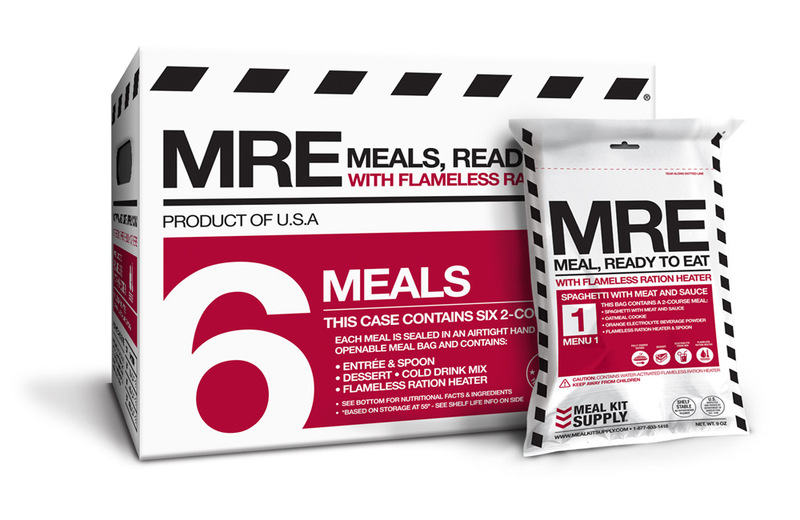 Each Meal Kit Supply MRE case contains 12 MREs that contain a variety of at least 10 different meals and a variety of different sides, desserts, and spreads. 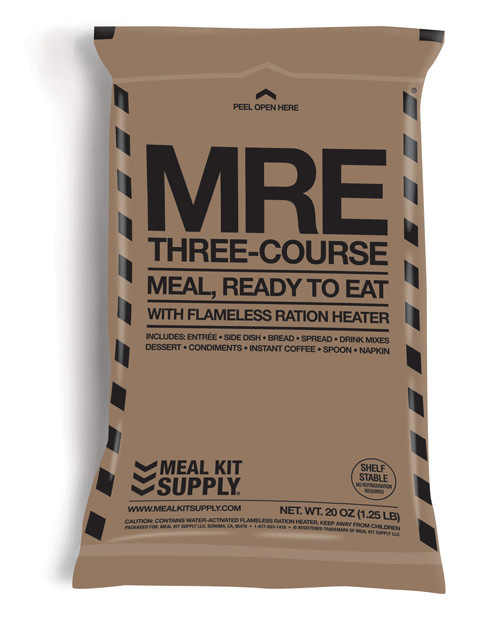 Accessory Pack in every meal contains: 6″ military MRE spoon, instant coffee sugar, non-dairy creamer, moist towelette, napkin, salt, pepper. Hot Sauce/BBQ Sauce in 4 meals (menus 1, 3, 7, and 7). 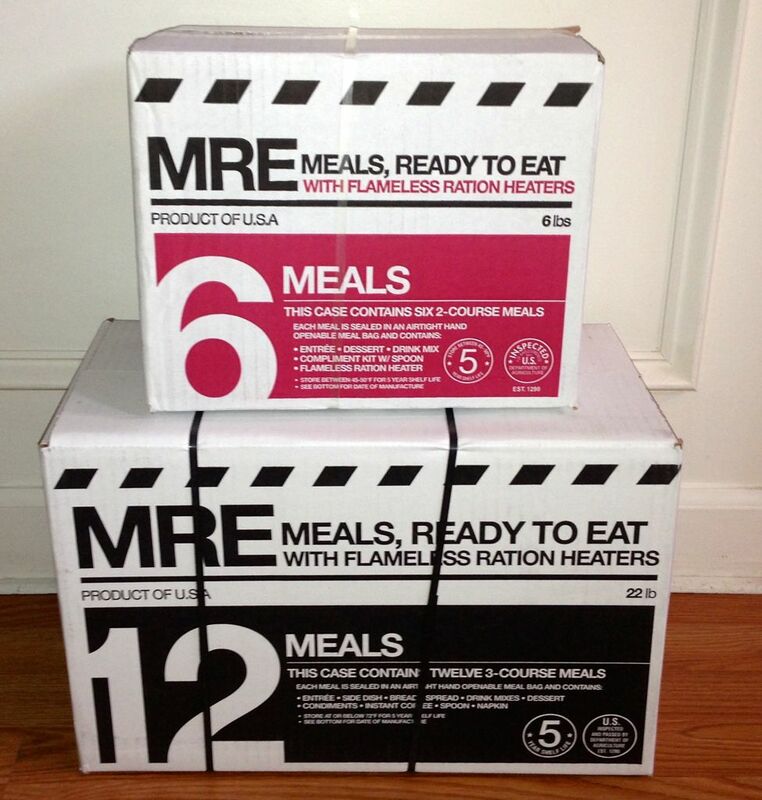 Here’s a closer look at a Meal Kit Supply case. 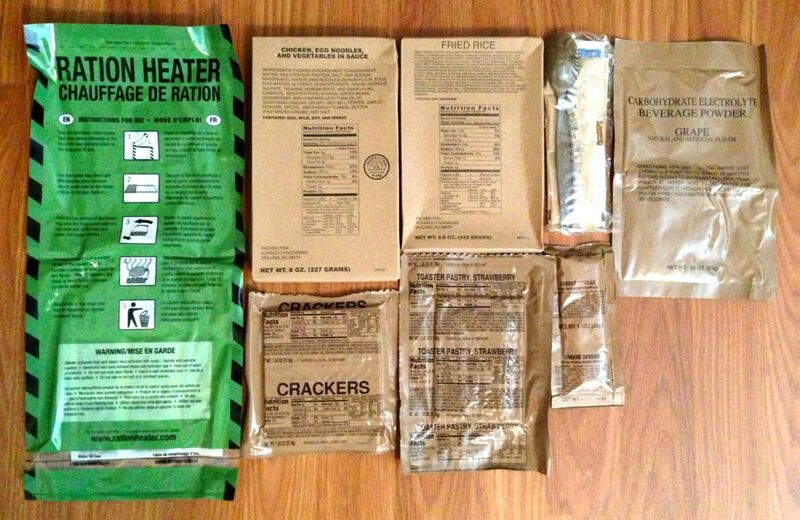 Inside each case is a nice pamphlet list all of the nutritional information for each MRE. 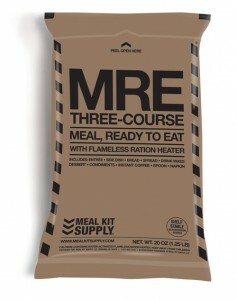 MRE bag: very nice custom design and layout. I especially like all the nutritional information on the back of the MRE bag! 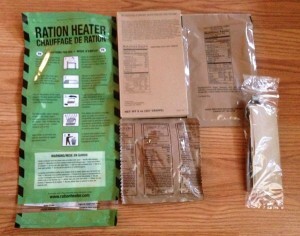 Accessory Pack in every meal contains: 6″ military MRE spoon and napkin. 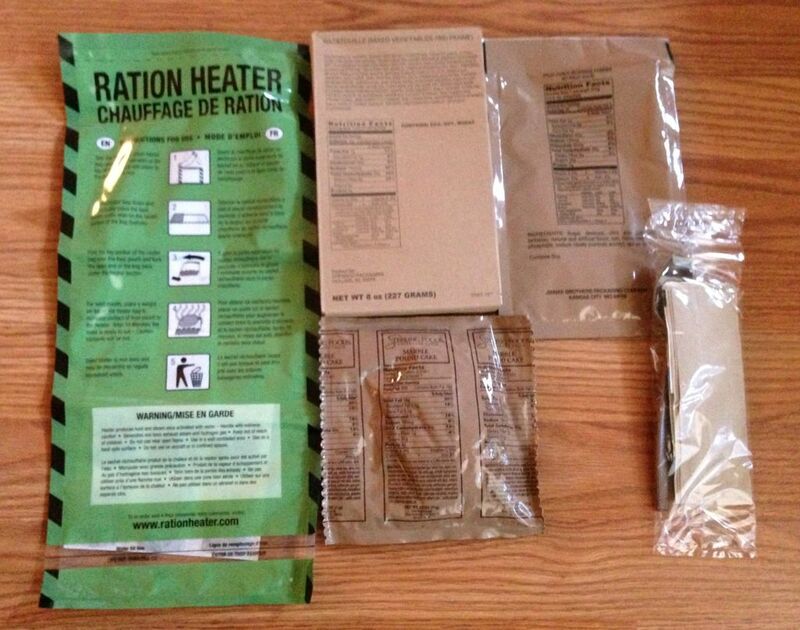 Meal Kit Supply is unique in the civilian MRE industry in that they have a dedicated online store for Canadian customers. 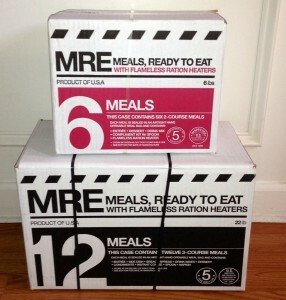 The MREs sold there are CFIA (Canadian Food Inspection Agency) inspected and approved for distribution in Canada, which makes them the only civilian MREs that can be easily bought and sold in Canada without the buyer have to worry about shipping their US-purchased MREs through Canadian Customs and having to potentially pay import duties or even have the case of MREs seized. You can check out their Canadian storefront at Meal Kit Supply Canada.